Halloween is a fun time for the kids and adults too. It is also a holiday filled with lots of trash. Leftover trash includes everything from plastic candy bags, pumpkins, paper banners, candy wrappers, other decorations and costume castoffs. 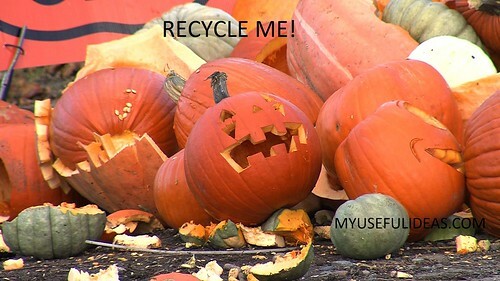 So as another Halloween approaches, here are a few useful ideas for making Halloween a bit greener. Use a reusable bag for Halloween candy. Kids can choose to use a recycled or reusable candy bag such as one made from recycled plastic bag like this one from MyRecycledBags. 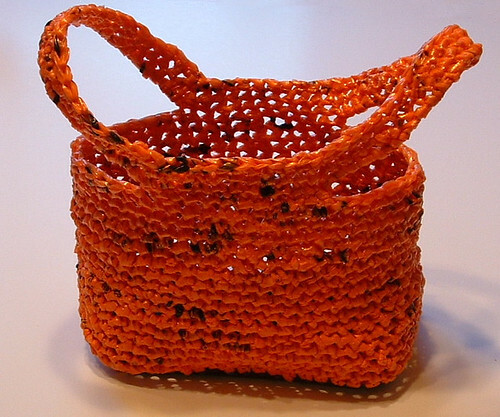 Here is the link to the pattern and details for crocheting this cool orange candy basket. Party favors can be made by recycling things like yogurt cups into little candy holders. 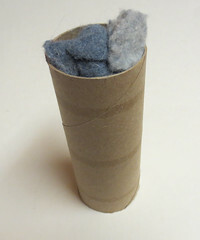 Let the kids decorate the items and have fun with the crafting project. How about all those plastic bags that candy comes in? Well that plastic can be recycled so don’t throw it in the trash. Save it and either drop it into your curbside recycle bin or a nearby store’s plastic recycle container. Same goes for those paper decorations and banners that you either can’t or won’t be reusing next year. 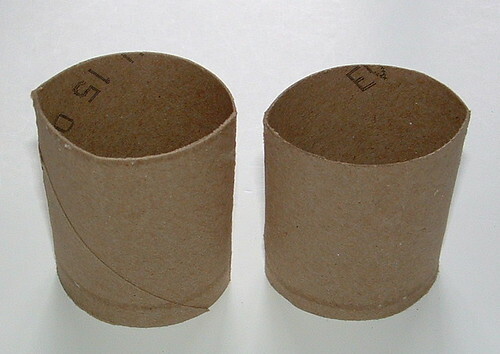 Recycle them in your paper or plastic recycle bins so they don’t end up in the landfill. This useful idea has been shared on many tip sites and I just love it. You use a lid and ring to re-seal a package. A recycled bottle top or small jug is used for re-sealing packages. 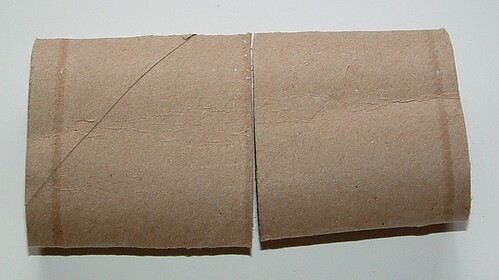 Cut the top of the package open and insert it into the cut lid sleeve. Fold over the package and screw the lid on. 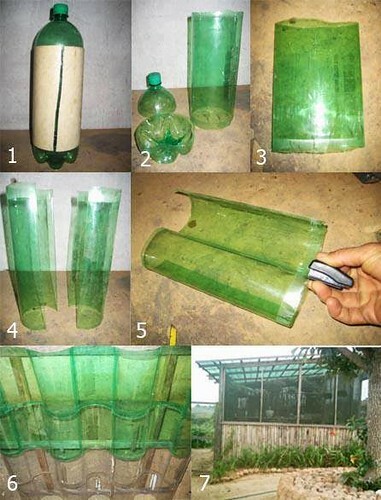 What a fantastic way to recycle a plastic bottle and keep your packages sealed for freshness and storage. We drink a lot of apple juice and I reuse the jugs for water storage. The jugs are nice and sturdy for storing water in. Unlike some of the lighter weight plastics, it is Polypropylene (PP) which has a plastic code of 5 and is not known to leach chemicals into your drinking water. Polypropylene is the same plastic that yogurt cups are made from and they are safe to reuse. You need to be aware of this as some plastics breakdown over time and can cause serious health problems even cancer so beware of what you may be using to store water in. 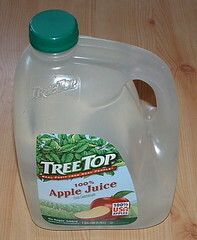 You may be saying, yeah recycling those apple juice jugs is great but the water smells like apples. Well, I found a cure for that problem. First rinse out the jug thoroughly and then add about a half cup of white vinegar. Put the cap on and shake it well. Leave the jug to soak in the vinegar with the cap on overnight. Shake it a few more times if you get the chance to. The next day rinse it thoroughly again with water to get all the vinegar and odors out. Let the jug dry upside down on a towel until completely dry. Now for the smell test. There shouldn’t be any apple odor at all. If there is, it will be ever so slight that it shouldn’t prevent you from using the jug for water storage. Fill your jugs right up to the top. Leaving little area in the jug does help prevent bacteria from growing. Also some people recommend adding 8 drops or 1/4 teaspoon of bleach to the jug if your water isn’t already chlorinated to ensure long-term clean water. So if you have water stored in milk jugs that is wonderful. Use that water to flush the toilet or wash your clothes but just don’t drink it.